Winter is Coming! HBO has released the first teaser of the eighth and final season of the fantasy drama television series Game of Thrones on Monday. In the first teaser of the most waited TV series, the premiere date has been also revealed. Game of Thrones season 8 will premiere April 14 2019, leaving fans in excitement. 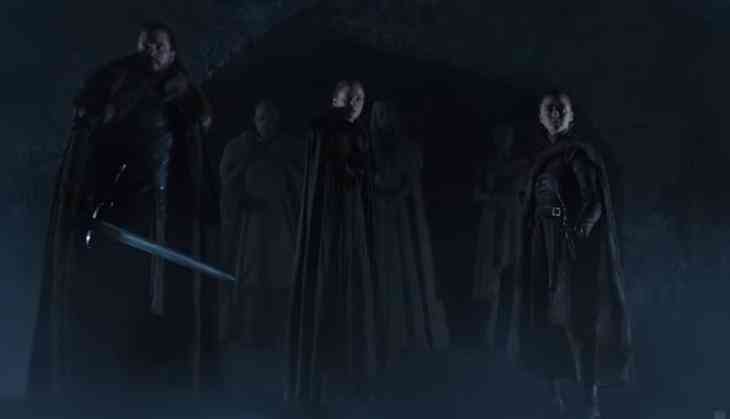 In the all-new teaser, the GOT fans were teased with Jon Snow, Sansa Stark and Arya Stark’s ‘icy death’ in finale season’s first teaser. GOT fans in India will be able to watch the season 8 premiere on Hotstar or Star World on April 15. In the 1 minute, 29 seconds long teaser, it shows underground crypt of Winterfell, with the Stark siblings walking through it. The teaser feature Jon Snow, Sansa Stark and Arya Stark while no glimpse of Bran in his new role as the Three-Eyed Raven. The teaser has a chilling shot of the Stark siblings and Jon Snow coming face to face with their own statues, after walking past the statues of their Mother, Father and aunt. As soon as it was released, the short teaser of the finale season 8 has collected over 4.35 million views and thousands of comments.